Passport is off utmost importance. For any kind of service may be getting another proof, or going for any task passport serves as a national identity. Keeping somebody’s passport without permission is also a crime. You need to keep your passport safe as it is used when you want to travel to any country. In this, the passport is of two types that is ECR and Non-ECR. You need to know the difference between both of them. Given below are clear details to it. This category is mostly given to those group of the passport holders who are illiterate and labourers and are travelling for work in a number of Gulf countries like Iran, UAE, Indonesia etc. These Passport Holders during their emigration check by Protector of Emigrants POE they are informed about their rights and are given details of a number of fraudulent scams in which these citizens are lured into going for illegal activities in the name of work. Most of the time these labourers are caught and are jailed in foreign countries and further, they have no one to protect or save them. Long in their life period, they stay there in jail and they cannot even come back to their country. 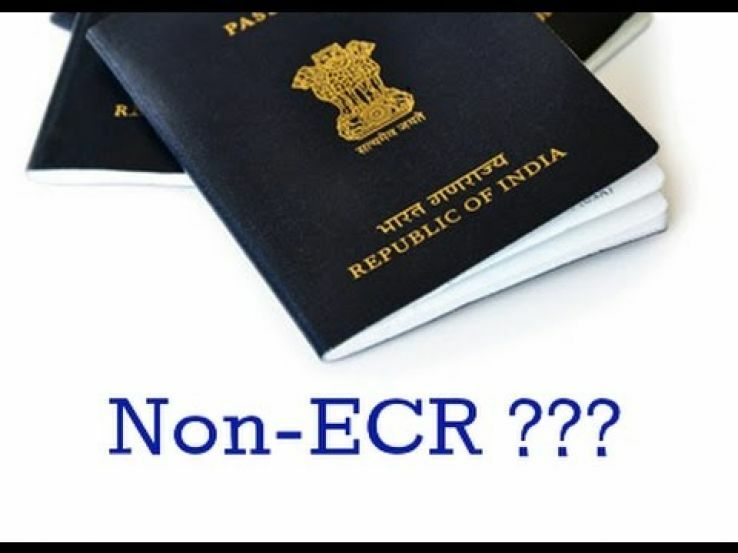 To learn about the procedure to get an ECR and NON-ECR passport and various documents required for the process visit here. 1. For all the holders of Diplomatic/official Passports, no separate document needs to be submitted except Diplomatic passport. 2. All GAZETTED Government servants, their spouses and dependent children.